Many of us have coffee machines at home as well as a variety of different ways to create a brew, however IKAWA Coffee has now created a machine that will allow you to home roast your own coffee beans. 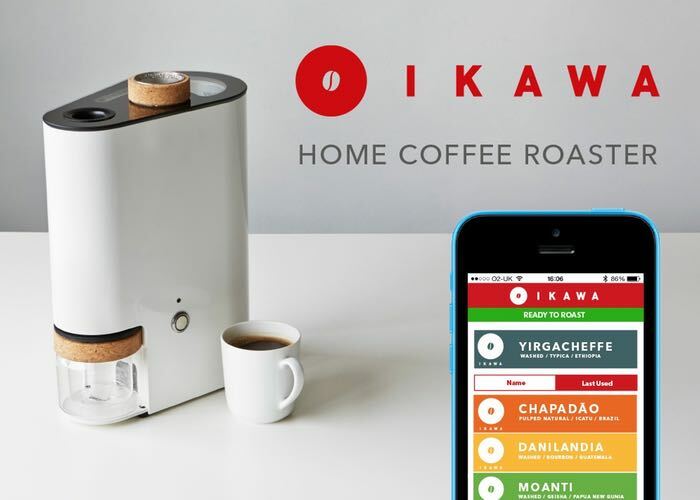 The IKAWA home coffee roaster can be controlled via a companion smartphone application and enables you to roast your own coffee at the touch of a button, or rather a touchscreen. IKAWA Coffee has taken to Kickstarter to raise the £80,000 the UK-based manufacturer needs to take their home coffee roaster to market. The development team explains a little more about the features you can expect from your tabletop home coffee roasting machine. “Unlock a world of fantastic flavours and beautiful aromas by roasting your own coffee at home in minutes! However you like your coffee whether it’s a dark espresso or a light filter roast it comes from ‘green’ unroasted coffee beans. To get the perfect coffee you need the best green beans and the ideal roast tailored to those beans. For more information on the new IKAWA home coffee roaster jump over to the Kickstarter website for details and to make a pledge from £450 to own one of the very first machines.